THE overall rating for Sandwell and West Birmingham NHS Trust remains the same at ‘requires improvement’ following a CQC inspection last autumn. The inspection of some of the Trust’s services took place during the period 4th September to 11th October last year, with publication of the findings today which reveal the overall rating for the Trust remains the same. The Trust has committed to continuing to make improvements and has already made changes to ensure that patients receive high quality care across all parts of the Trust. 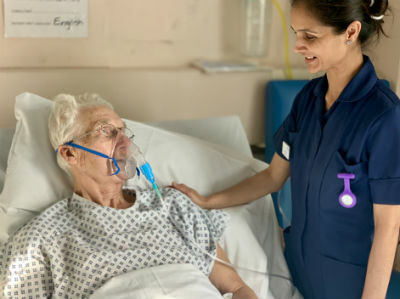 As well as making recommendations, the CQC report notes a number of outstanding practices with the overall ‘outstanding’ rating for being caring. In urgent and emergency care across both City and Sandwell hospitals, the services were rated as ‘requires improvement’ with an ‘outstanding’ rating for the critical care service. Toby Lewis Chief Executive commented: “We are pleased that no safety concerns remain in our ratings table. Obviously our work to achieve a Trust-wide Good rating continues, and our community services for both children and adults reach that mark already. We know that for acute services we have more room for improvement. “Most pleasingly, we have maintained our Outstanding rating for Caring. This is a tribute to the hard work and compassion of our teams across the organisation.